How are you doing? I have a new to me brand called Madam Glam to share with you. I was super surprised when I was contacted by their PR department and asked if I would like to pick four polishes to review for them! 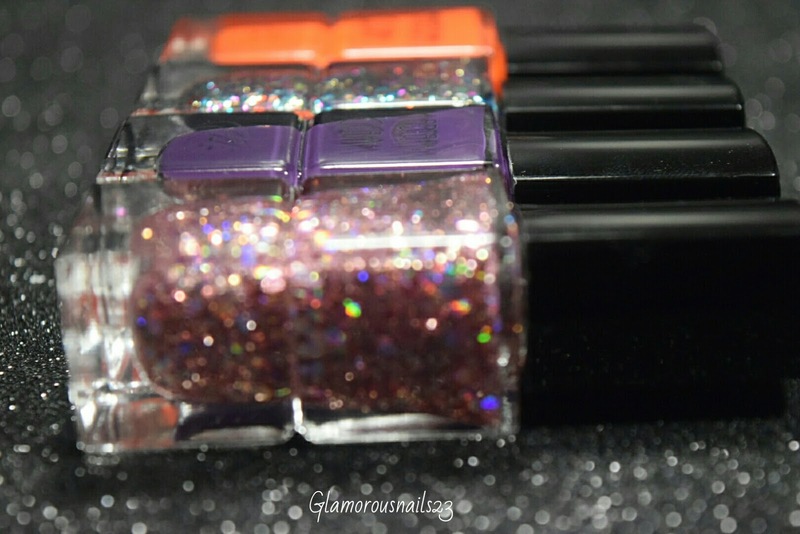 Of course I said yes and these are the four polishes that I chose: Tiger Balm, Pearl River, Text Me Later, and Rock Star. Let's get started! 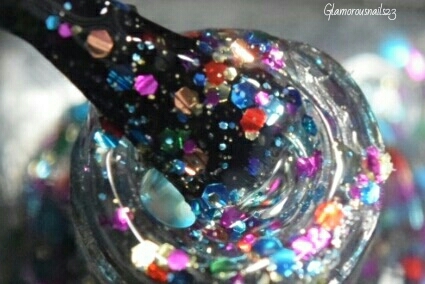 Here are some shots of the bottles before we get into each polish! Tiger Balm is a neon orange creme polish. 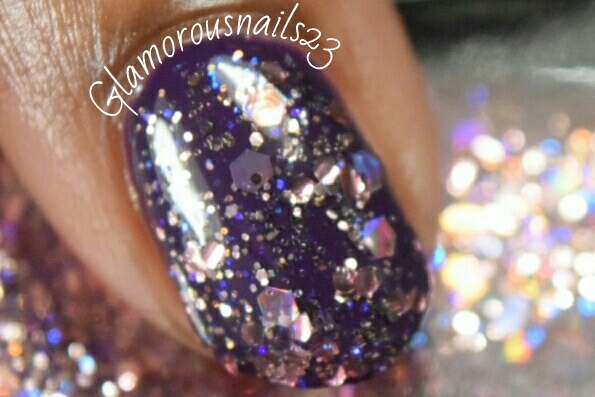 This polish was a little thick but it was still very easy to work with. That being said it was still smooth and it did build nicely with good coverage. It's so bright that I didn't need to use an undie to help make the color pop! Of course being a neon this was super hard to capture the accurate color but I promise you this is a really bright one! Shown is two thin coats with a top coat. Pearl River is a multicoloured metallic glitter polish. The polish contains many hex glitters in various sizes in a clear base. 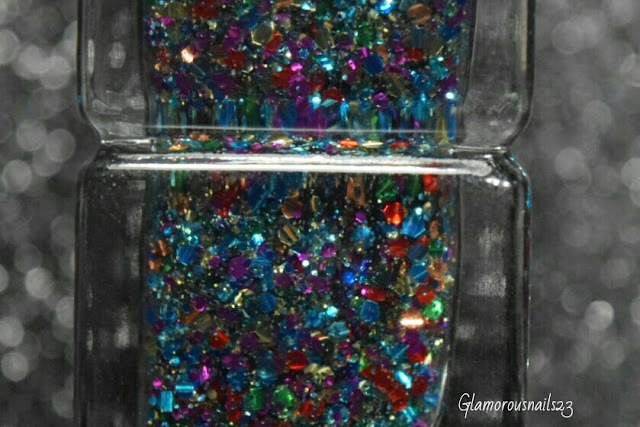 This could be used over any polish or probably even on it's own! I must say that I really do like this one! 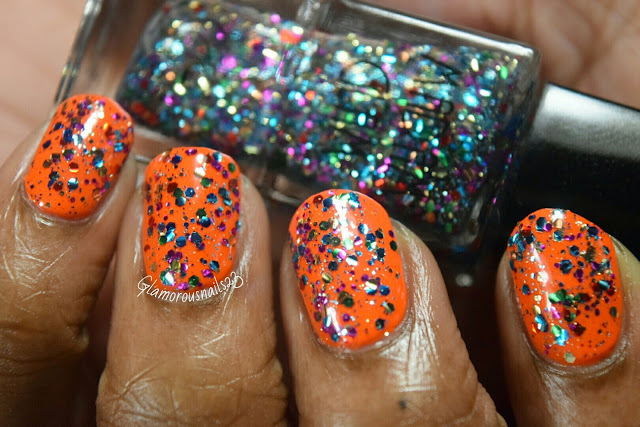 I had absolutely NO problems apply this polish. 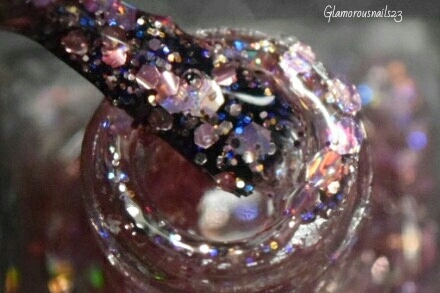 There was no need to fish for glitters, use the dabbing method, turn the bottle upside down. Nada! 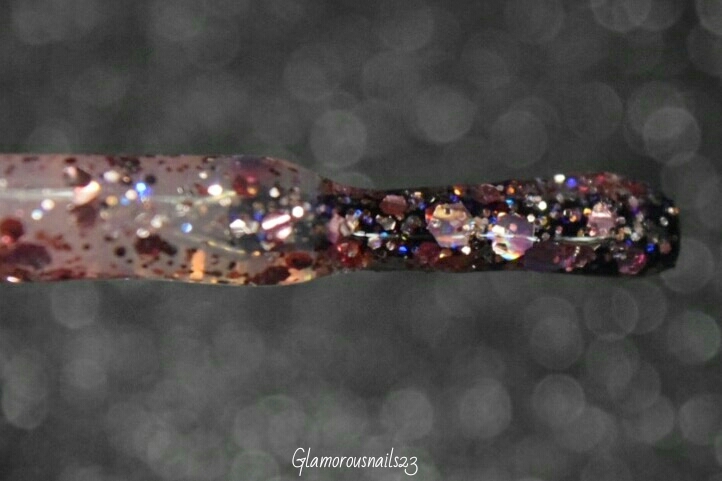 There were more than enough glitters on the brush. Shown is one thin coat over Tiger Balm. Of course I had to choose a purple polish. Why? 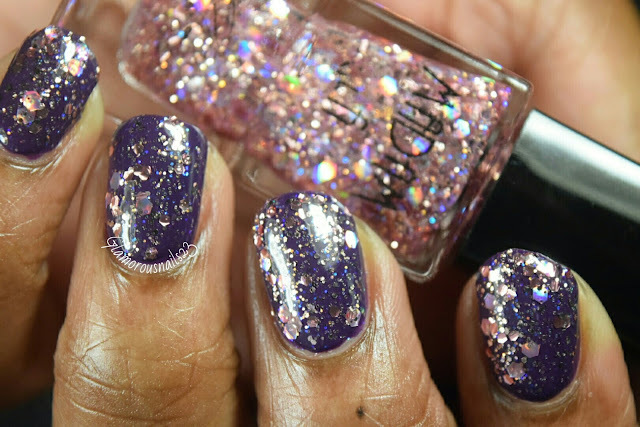 Because you can't have too many purple polishes! 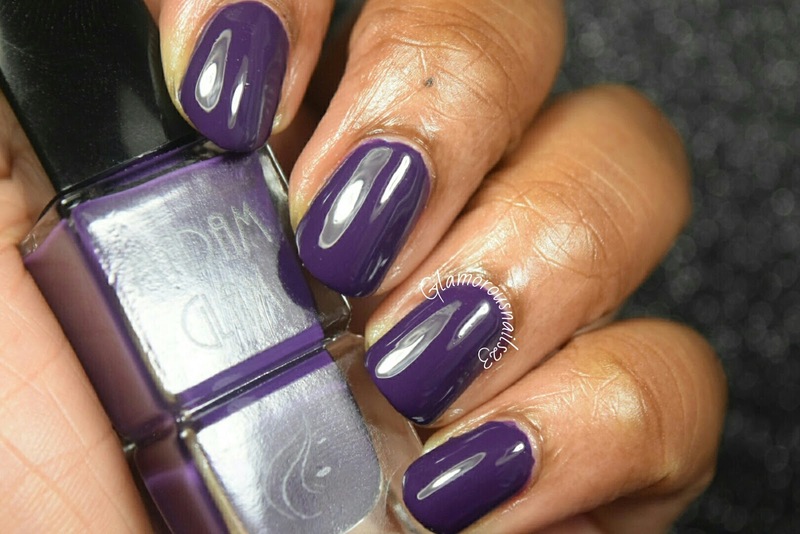 Text Me Later is a deep eggplant creme polish. 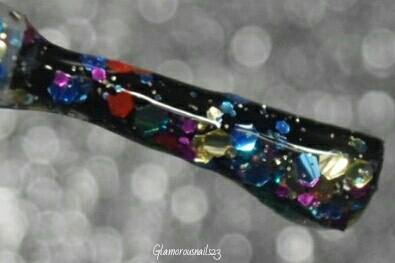 This beauty is highly pigmented. The formula was smooth with good coverage. Text Me Later is perfect for the upcoming fall/winter season. 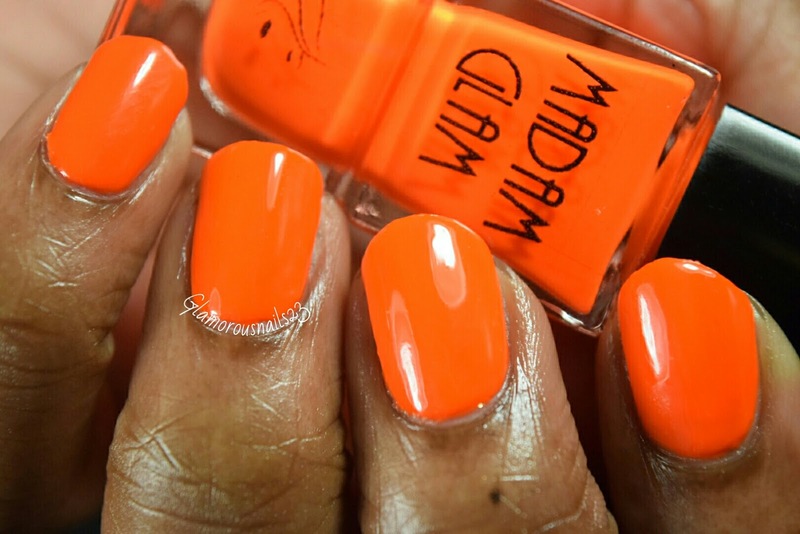 This is such a luscious polish! Love! Shown is two thin coats with a top coat. Last but not least we have Rock Star. 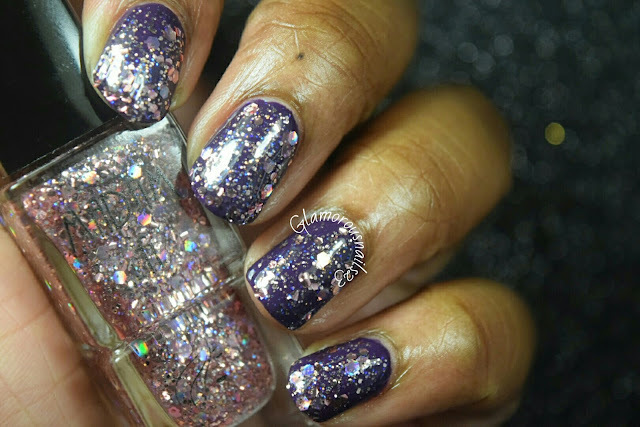 Rock Star just like Pearl River is a hex glitter polish in a clear base. 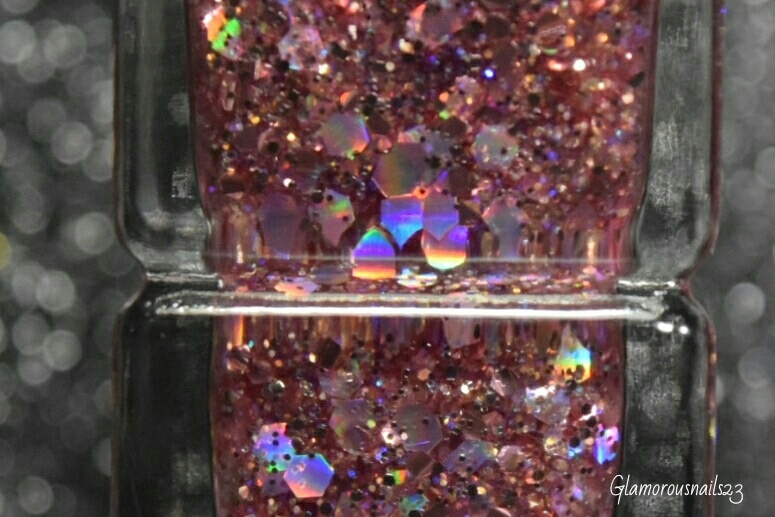 The difference between the two is that this one is a holo glitter. This one was a bit thicker than Pearl River but it was easy to use with no fishing, dabbing, or turning the bottle upside down! 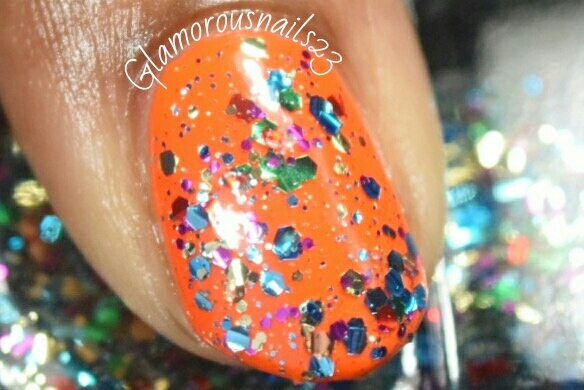 This one is super pretty and girly with great coverage. 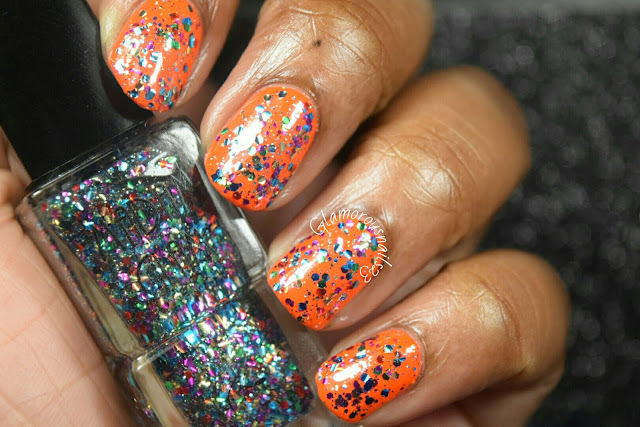 You can see some of the holo bouncing off the glitters below! Shown is one thin coat over Text Me Later. 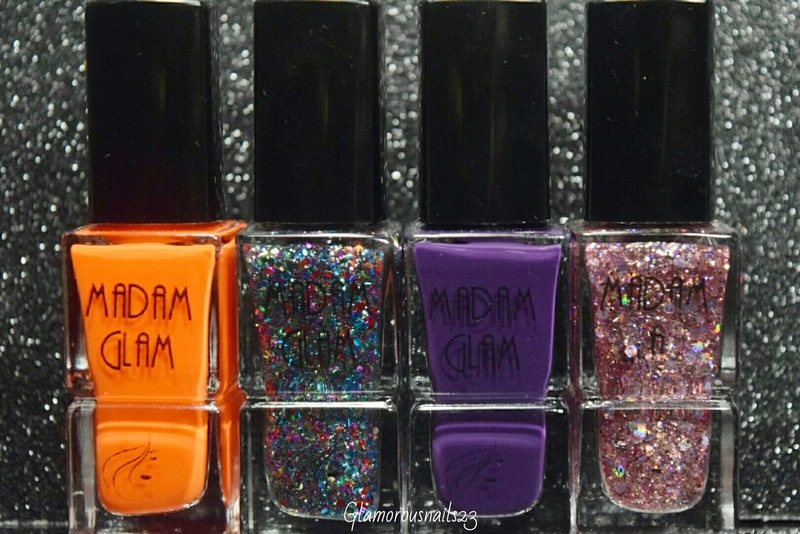 That's it for these Madam Glam polishes! 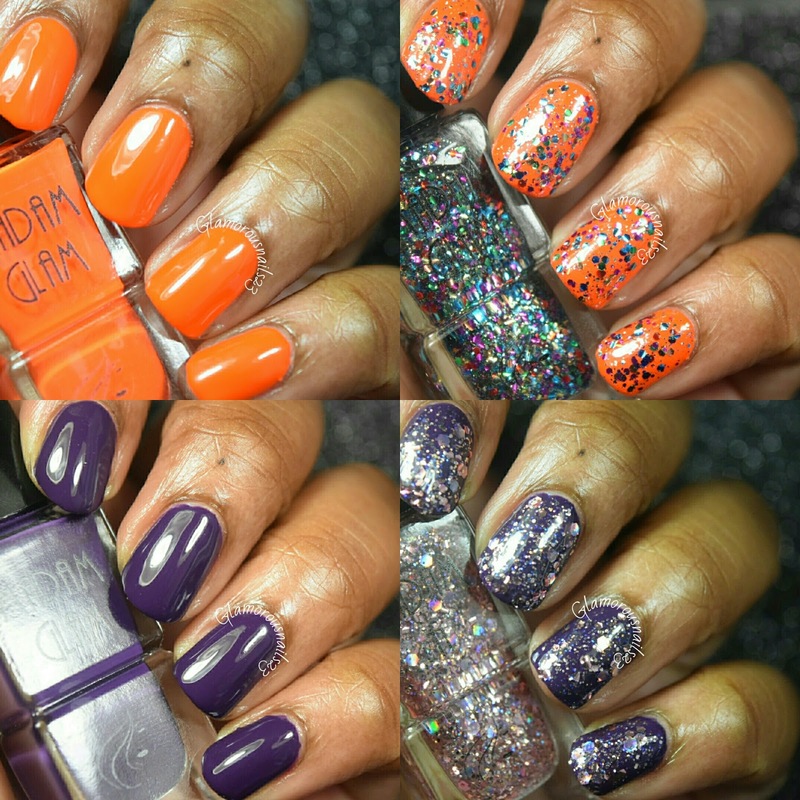 These polishes can be purchased online at Madam Glam. 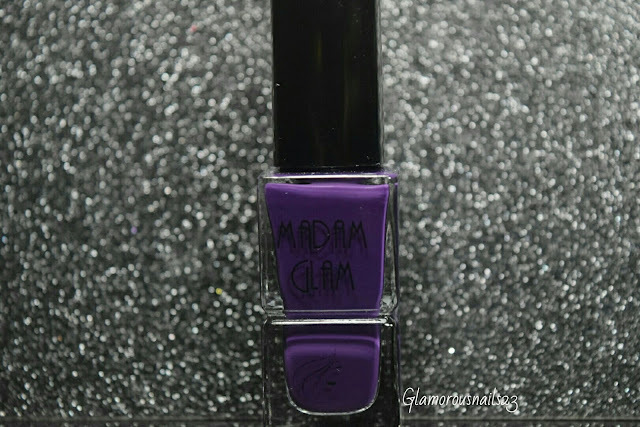 Madam Glam is a 5-free which means that their polishes don't contain formaldehyde, dibutyl phtalate (DBP), toluene, formaldehyde and camphor. They are also cruelty free as well as vegan! The PR department was kind enough to give me a coupon code for 30% off of your purchase! All you have to do is enter sasha30 at check out! They also have FREE WORLDWIDE SHIPPING on purchases over $40.00! 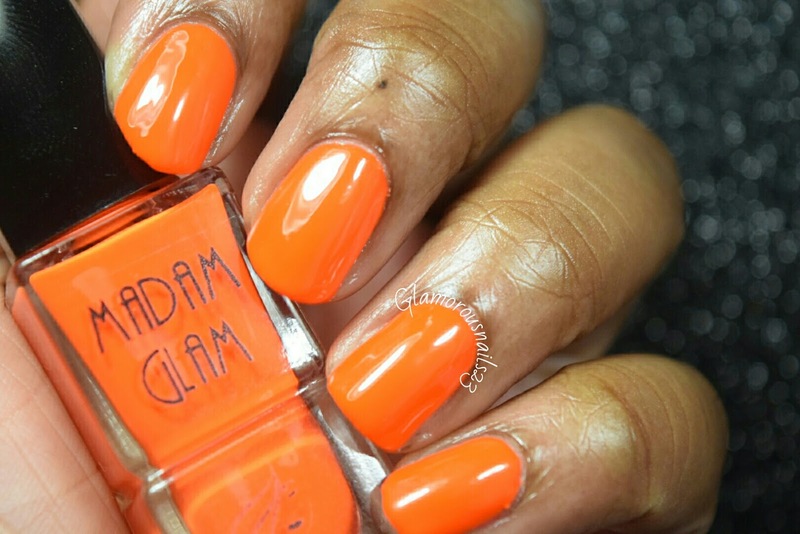 Don't forget to follow Madam Glam on Facebook, Twitter, Instagram, and Pinterest for updates! What do you think of these polishes? Do you own any Madam Glam polishes? My favorites are Text Me Later(duh! ), and Pearl River! Which ones are you favorite? 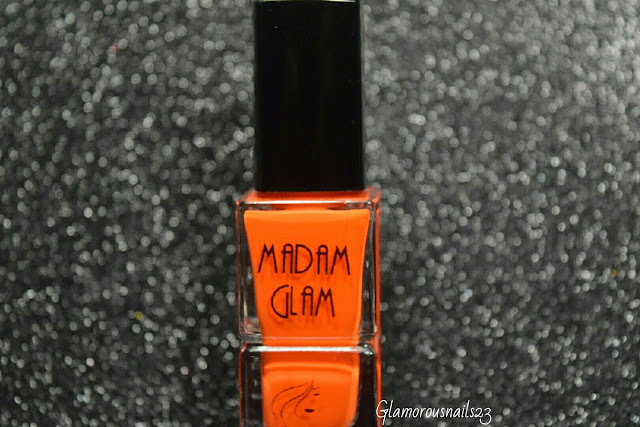 Let's chat Madam Glam down below! Great swatches!! These look great! I love your nails at this length! Thank you Marisa!!! I'm still getting used to them at this length! They are all beautiful! I L.O.V.E Text Me Later!